Olga was/is a friend of mine as she was to so many others. Her transition leaves a corporeal void, but Olga remains as a viable, irresistible, important touchstone for all with whom she engaged, and beyond. Her philosophical and humanitarian visions, her diligence, integrity, courage and activism will be—can be, must be—carried on by all those with universal humanitarian responsibilities. I extend to all members and friends of News and Letters Committees my deep condolences on the passing of Olga Domanski. Olga was a very welcoming person. Towards myself, yes, and I witnessed it over and over towards so many, whether the people came regularly or occasionally to News and Letters Committees’ events. I also witnessed her deep knowledge of and commitment to Marxist-Humanism, a philosophy that can save humanity and, indeed, the world. 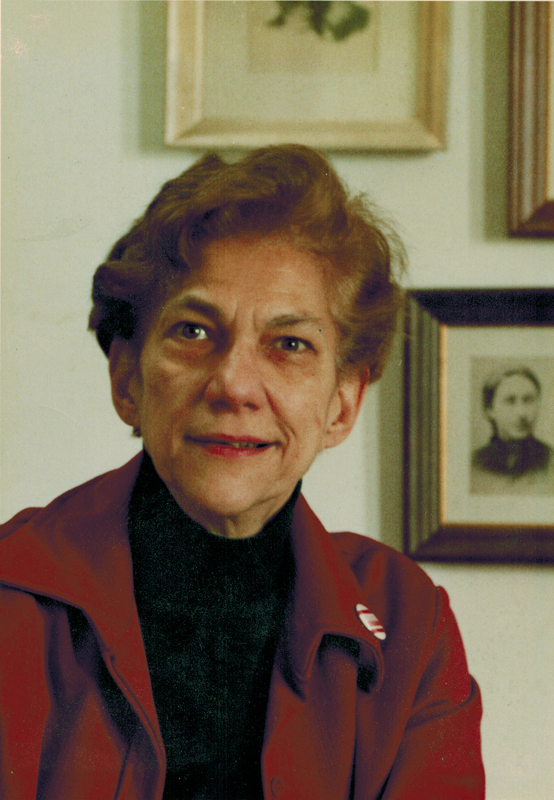 Thank goodness every day for Olga, who helped spread the life-saving philosophy of Marxist-Humanism when she worked in the office, spoke at meetings and to people inside and outside the office! The news of Olga’s death made me very sad. I met Olga on May 1, 1990, in a very symbolic site: in the cemetery where the martyrs of Chicago Haymarket are buried. I had the opportunity to talk with her and she always seemed to me a marvelous woman. May she rest in peace, and her liberatory thought, learned from Raya Dunayevskaya, continue in each one of the brothers, sisters and comrades who continue in News and Letters Committees. What a lifetime as a revolutionary—from Philadelphia and Flint to West Virginia, Detroit and Chicago. Olga was central to developing Marxist-Humanism, and continuing it after Raya Dunayevskaya’s death. We have much to learn from her worldwide correspondence. Condolences on the death of Olga. She will be missed as a dedicated socialist intellectual and a Jane Higgins in your movement. She was always open to suggestions in my phone conversations. Her dedication to N&L and its important activities was obvious. Olga’s memorial made me realize how she was the organizational person. After numerous years of the baseball faction of N&L going to Wrigley Field and suffering through Cub games, we finally convinced Olga to join us. The stage was set for a Saturday afternoon July baseball game at the friendly confines. Early on, you could tell that Olga’s baseball acumen was lacking. Balls and strikes, “What’s that?” Stealing a base is allowed, “You’ve got to be kidding”; bunting, “Why would anybody do that?” Somehow we all lasted the nine innings with plenty of food and laughs. Olga’s knowledge of the game improved but when it came to the dialectic she was strictly a powerhouse home run hitter. Enclosed is $5 to renew my subscription plus $45 for subs to prisoners, in honor of Olga. May she rest in power. In gratitude for your dedication. This entry was posted in Articles and tagged Bob McGuire, Gloria Joseph, Haymarket affair, Marxist-Humanism, News & Letters, News and Letters Committees, Olga Domanski, Raya Dunayevskaya, Stanley Rosen. Bookmark the permalink.